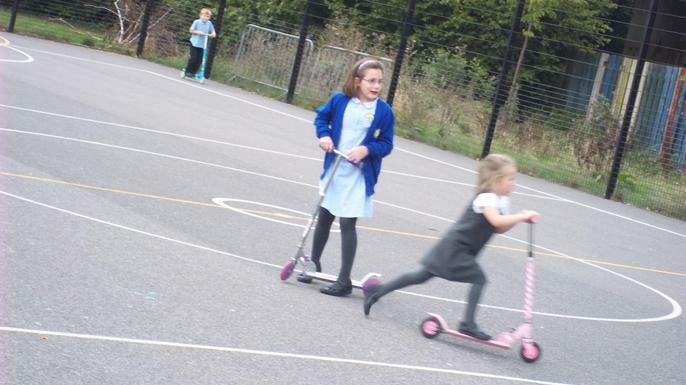 During this week we are encouraging as many pupils and adults to ride, scoot or walk to school as possible. 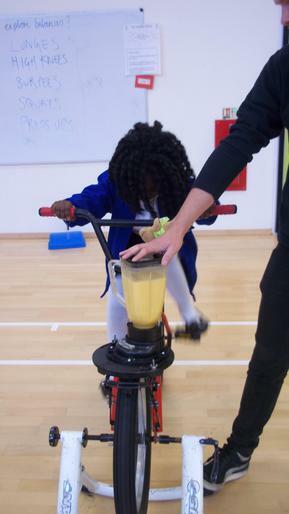 Wednesday 5th October (8.15am): ‘Bike it Breakfast’ – pupils must ride/scoot to school, they then register in the large hall for a chance to use the ‘smoothie bike’. They can create their own drinks by blending fruits together using pedal power. 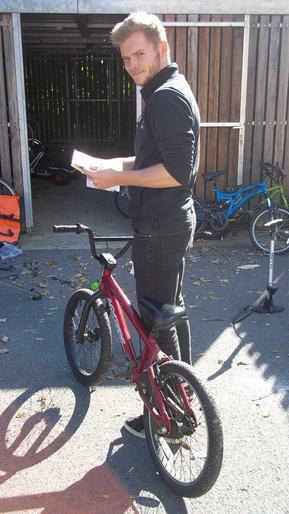 Wednesday 5th October (8.45am): ‘Bike it Doctor’ – Drop your bike off with the Bike Doctors (Bike Shed) to have a routine maintenance check including tightening brakes and gears. 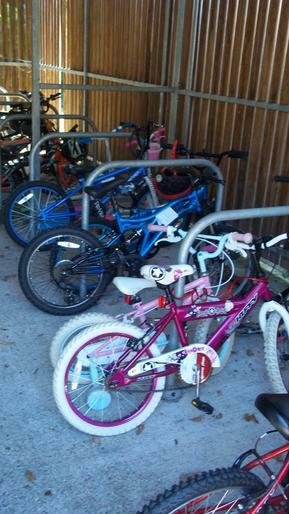 Wednesday 5th October (3.00pm): ‘Drop in’ – Pop along to speak to Stuart Williams our ‘Bike it’ officer about any bike related issues and check out the items we have for sale i.e. helmets, lights, locks and reflective wear. 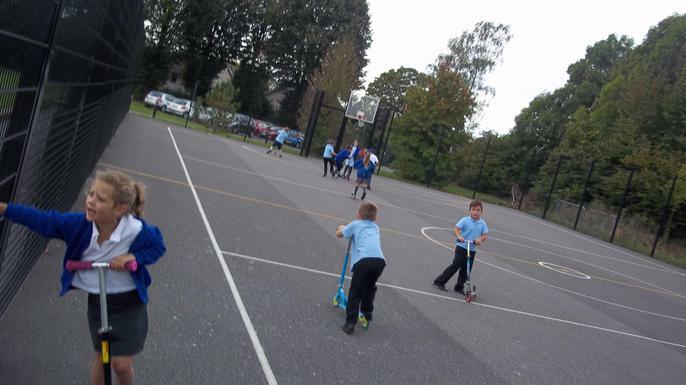 Thursday 6th October (12.30pm): ‘Scoot in the MUGA’ – Ride your scooter in and drop it off in the MUGA. 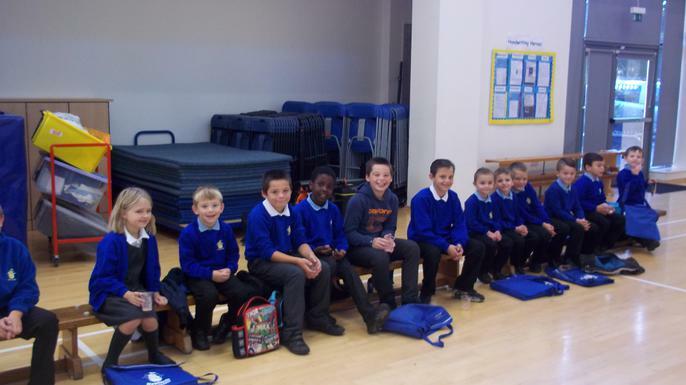 Then at Lunchtime you can ride it around the MUGA with all your friends. (Don’t forget to bring a lock).